Latest dev diary explores new systems. As it marches towards Titanfall 2’s October 28 release date, Respawn Entertainment has launched another episode of its on-going Inside Development video series—the latest short focusing on matchmaking. 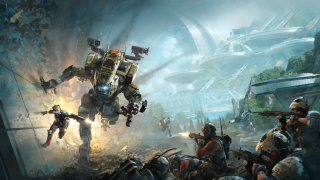 Speaking to lead engineer Jon Shiring, Respawn’s Mike Kalas explains how player feedback has shaped Titanfall 2’s matchmaking against how it was implemented in the original game. Keeping matches full, for example, is an area it's paid particular attention to this time round; so too is designing a more intelligent system that’s better at identifying uneven matches—be that in relation to squad size or player skill. Beyond the latter, it seems individual contribution to matches also affects matchmaking in Titanfall 2. “In Titanfall 1, a large majority of the skill was based on whether you won or lost matches,” explains Kalas. “In Titanfall 2, that’s still true—wins and losses are still a good contribution to your skill metric, but in addition we’re looking a lot more at your individual contribution to matches. Respawn is expected to drop more of these videos between now and Titanfall 2’s release, however if you have any questions specific to the above, Kalas is hosting a Q&A on Twitter today. A tweet from the game’s official account suggests that’ll kick off at 2pm, and, while it’s not clear which timezone that’s referring to, I think that might mean US eastern time (which means 11am PT/7pm BST). A multiplayer livestream is also scheduled on August 16 at 10.15am PT/1.15pm ET/6.15pm BST. Here's what Samuel thought of Titanfall 2 when he went hands-on at E3.